Samsung android smart phones come with a special feature that allow you to track, locate, lock and wipe your Samsung smart phone remotely. You can track any lost Samsung smart phone by two methods. One is the basic method and other one is advanced. The basic method just only include the mobile tracker in which whenever someone changes the SIM you will be notified about thief’s mobile number via sms messages sent on mobile numbers stored in mobile tracker. The advanced method include locating, tracking, looking and wiping your Samsung android phone remotely via Samsung-Dive. For this you will need a Samsung account whose credentials (Username & Password) should be stored on your smart phone. In this post I will teach you how you can get back your lost Samsung android phone by using two methods, mobile tracker and Samsung-Dive. The main thing about tracking a lost Samsung android phone is that you are tracking it without any app. Data backup is essential so in case you lose your phone you can restore the data later. You should always back up your Samsung android Smart phones with WonderShare MobileGo in case losing all file in case it got stolen or lost. But before this you will need a valid Samsung account to use the above stated tracking services. First I will teach you to create a Samsung account. Enter your details here correctly and check the terms and conditions check-box. Then click ‘Continue’. In second step you will be asked to verify or activate your account by verifiying your email address. Login in to your mail account and click the verification link for account activation. Now on your android phone go to Settings>Account and sync>Add account>Choose Samsung. For Samsung smart phones running ice-cream-sandwich and jellybean 4.1 goto Settings>Accounts>Add Account>Choose Samsung. Choose ‘Sign In’ and enter the email address and password to sign in. After Signing In Samsung account will be visible in accounts section. Now you have successfully created a Samsung account, so you are ready to setup mobile tracker and Samsung-Dive. First I will teach you to enable mobile tracker. Mobile tracker is basically a SIM change alert function which is configured with your mobile phone number. So whenever the SIM is changed with new one, your phone sends alert messages to the ‘alert recipients’ numbers stored in mobile tracker from thief’s mobile number. You will receive sms messages from thief’s mobile phone number and you can easily catch him/her by mobile phone number. Alert Recipients can be your family members, your another phone number or friends. When your phone’s sim is changed alert recipients will be notified of your stolen phone. To enable mobile tracker on Samsung android phones, follow the steps below. For Android 2.3 Gingerbread : Goto Settings>Location and security>Find my mobile>SIM change alert>Check it and enter your Samsung account password. For Android 4.1 Jellybean : Goto Settings>Personal>Security>Find my mobile>SIM change alert>Check it and enter Samsung account password. Now below it click ‘Alert message recipients’. Enter the password. Enter two trusted mobile phone numbers in it with full country code. The numbers can be of your family members. Now in SMS message you can enter your custom message like ‘My phone is stolen and you have received a sms from thief’s mobile number’. Click done to activate. The same sms message will be sent to your alert recipients from thief’s mobile number which will expose his mobile number to alert recipients and you can catch him/her very easily. Samsung-Dive is a remote service in which you can track, locate, lock and wipe your phone remotely. This only requires a Samsung account and ‘Remote controls’ enabled your phone before it is stolen. To track your stolen phone with Samsung-Dive follow the steps below. 1.First enable ‘Remote controls’ on your Samsung android phone by going to ‘Settings>Location and security>Find my mobile>Check Remote controls’. Enter your password to enable it. 3.For android 4.1 Samsung smart phones goto ‘Settings>Location and security>Find my mobile>Check Remote controls’. Enter password click OK and see the image below. 3.Goto http://www.samsungdive.com and login with your Samsung account. You will see an image like this below. Note : You can use a single Samsung account for multiple phones.Now I will teach you about all the Remote controls by Samsung-Dive. 1.Locate My Mobile : Click this to see the location of your lost or stolen Samsung android phone on Google maps, the GPS on your stolen phone will automatically enable and will give phone’s location. You will see the current location of your phone in Samsung-Dive. Click ‘Start Tracking’ to track the phone in real-time at every 15 minutes interval for the next 12 hours. 2.Lock My Mobile : Click this to lock your mobile instantly. In the message you can enter your custom message and include your phone number in it. The same message will be displayed on stolen Samsung phone. Now enter a phone number that is with you. Now enter a pin of your choice. Now click ‘Lock’. The phone will be locked with your message and phone number displayed on lock screen. The phone number you entered will be displayed on screen of stolen/lost mobile. The other person having your phone can call only on this number by clicking it. The lock screen will look like as follows on stolen phone. 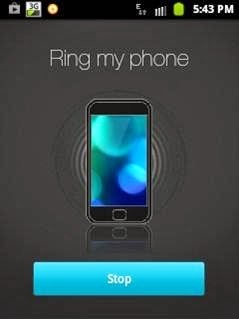 3.Ring My Mobile : Click this to ring your phone remotely any time you want. The phone will ring for one minute. 4.Call/Message Forwarding : The calls and messages can be forwarded on your desired number. If this option is enabled then when any call or message comes on the stolen Samsung phone they will be forwarded to your desired number, this mobile number should be with you. Click this option, now enter same mobile number for call and sms forwarding. Now click ‘Execute forwarding’. 5.Call Logs : You can retrieve call logs from stolen Samsung android phone. These call logs will include the phone numbers dialed, received, and missed by thief. Call logs will be displayed in Samsung-Dive with name, number and date. To retrieve call logs click it and tap ‘Retrieve call logs’. 6.Wipe My Mobile : You can remote wipe your stolen Samsung android phone. Wiping should be done if you can’t get your phone back. Remote wipe will delete all the data stored on your phone even the Samsung account, so do it as a last resort when you are unable to get your phone back. This will erase data on sd card and SIM card. Click ‘Wipe my mobile’ enter your password and click ‘Wipe’. There is another function ‘Factory Data Reset’ which will erase your phone only. I am not sure about the wipe and factory data reset function as how will they execute. Wipe function can only delete data stored on sd card and SIM card while factory data reset will erase the phone not sd card. So wipe sd card first. Do it at your own risk. 7.Unlock My Screen : You can remotely unlock your screen. Some Samsung phones doesn’t support this. Note : For Samsung phones running android 2.3 gingerbread background data should be enabled, otherwise remote controls will not work and phone will always remain offline in Samsung-Dive. You can only track the phone when it is connected to data network and background data is enabled on it. But in phones running android ics or later there is no such problem and phone can be tracked whenever it is connected to data network. Now you can easily track your lost/stolen Samsung android phone either by using mobile tracker or Samsung-Dive. Share this post if you like it. But what if the thief had successfully deleted and wiped all of your data even when the key pad was lock. Is there still a chance to track or block the phone????? yes the only way to get it back is IMEI number. You can take help of police to locate your phone via IMEI. But most thieves are not much sophisticated. After stealing your phone they will first remove the sim and insert their sim. If mobile tracker is on then they will be caught red handed. I caught one thief with phone tracker, he came to my house to return my phone. Hello Bhavuk, have you tried android device manager. Try to login in your Google account on the android device manager on a PC with the same gmail account that was there on the phone. And check whether you see any location details on the map. Then report that location to police, it will simplify their task. Stay in touch with the police. Ask them every 2-3 days about the stolen phone. If nothing works then call the Samsung service and ask them to block your phone's IMEI. After IMEI blocking the phone will not receive any cellular networks. I lost my Samsung Tab 2.0 7 a week ago and the tracking system doesn't seem to yield any result. It seems like the thieves did not change the sim card yet and I did not receive the notification message yet. Now I am in dilemma. if you know the IMEI of your galaxy tab 2 then its not a big deal to track them. Take help of police, if you know the IMEI, with IMEI the tab can be tracked anywhere in the world. Also if the thieves have factory reset you tab before changing the SIM, then also there is less chance of getting it back. Take help from samsung tell them the IMEI number, they will help. If the tab is not factory reset then keep an eye on the account in Samsung Dive if you created one. Then go to the place from where you bought it? Share your details and get the IMEI. My S3 got stolen about 3 week's ago..
Its not difficult to reset any Galaxy Android phone in Recovery mode or even to re-program it in Download mode. Are there no web pages to Track the phone Via GPS using the IMEI no ? You can find the IMEI on the box of your phone. Report the IMEI number to the police they will help you getting it back. If you have the imei then its not a tough job for the police to track your phone..
both my s4 and s5 were stolen and even though I have given police the IMEI numbers for both no news so far. maybe police not doing their job properly? My Samsung Grand I9082 has been stolen. It was password protected by alphanumeric method. If I lock the phone with the help of Samsung Dive the phone is locked with 4 digit numeric method is which is much easier to break. Can anyone help me to find out how many tries that samsung offer to unlock the pin else the thief can keep on trying till he becomes lucky to unlock the code. If the password is entered wrongly more than 20 times then the phone is permanently locked. Then only associated google account details can unlock the phone. Have you enabled the phone tracker which automatically gives you the phone number of thief when he changes the sim on your phone. If you have the IMEI number then go to Police and ask them to find it. Also you can contact Samsung and tell them the IMEI and ask them to block the phone's IMEI only if you are unable to get your phone back. Once the IMEI is blocked no calls can be made from the phone. Suppose I lock my stolen divice by using samsungdive. I will be entering a new pin numbe while using lock my device facility. What happens to the screen lock which I already have on my stolen phone. Will the screen lock cease to exist? Samsung dive will bypass your existing lock to PIN number lock. 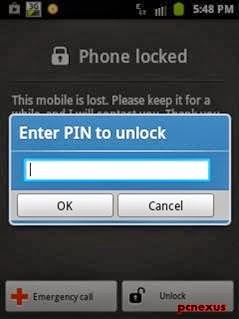 The phone can not be unlocked unless the PIN number is entered that you have entered in samsung dive to lock your phone. But what if any criminal can download the phones latest firmware and put the phone in download mode and uses Odin to load the phones firmware ???? Most people do not have that much of knowledge. After getting a lost phone they first change the SIM, in that time mobile tracker tracks his phone number and sends it to you. Finally if the phone is factory reset then IMEI is the only option. Call Samsung and tell them to block the IMEI of your phone, after this no calls can be made officially from the phone. And if you have problems with android then try Windows phone or iOS. I bought 2 tablets last July 04 and I asked my cousin to bring it home in the Phil for my daughter. During her stopover in Malaysia, she said that "she lost the 2 tablets", and I'm having a hard time to believe her bcoz her alibi was not consistent. So I just wanna ask is there any other way to block the tablet using IMEI and make permanently unusable. I tried the find my mobile in samsung site and google android device manager but still no luck bcoz the device is offline. I lost my S5 3 days ago. tried tracking it with samsung account but status shows device offline all the time. what should i do? file a police complaint with IMEI number. Is it possible to change any piece of hardware e.g. chip in order to change the IMEI of a lost or stolen phone? If you have found a stolen or lost phone then it would be better to hand it over to its owner. What if my Tab3 WiFi only was lost/stolen and it was factory reset? Is there a way to recover? Does it have a IMEI number? A wifi only tablet doesn't have IMEI number, but it does have a serial number. Give this serial number to samsung and they can help you in tracking the tablet. I lost my S6 edge. 1 month and nothings new with find my mobile service. Always offline. Check android device manager on pc and login with same google account that you used on galaxy s6. If you have the IMEI number then firstly call Samsung customer care and ask them to block the phone, secondly take help from Police by telling them the IMEI number. Its very easy to recover lost phones via IMEI, but only police can do it, also take help from Samsung care, they will track it down. i lost my samsung on friday. i live in nigeria. the police here are not so sophisticated. tgey don't have much equipment. i have my imei number and i really want my phone back. samsung dive says my phone is offline. i think it has obviously been factory reset. i didn't enable sim change alert. Any ideas? Only police can help you, however you can ask Samsung customer service to block the IMEI, once this done, the phone will become unusable and cannpt be used to make or receive calls. Report a complaint to police with IMEI. If you have associated a Google Account with your phone then try the android device manager from Google and see if it works. If the phone is already factory reset then its hard to track. But how to track if the device is offline. There is no such way. Older android devices are just phones. Once they are lost they are gone forever. Only IMEI can track. But new android phones like that running android 5.1.1 and android 6.0 are much more secure. These devices have factory reset protection. So once a thief gets your phone and factory resets it then he will still need your Google account and password to unlock the phone. 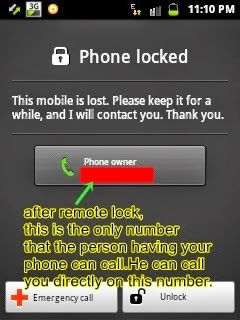 Without entering this info the phone will be of no use for the thief. Read More about factory reset protection. Then go to the place from where you bought it? Share your details and get the IMEI. And keep tracking the tab with android device manager. On getting the IMEI you can ask samsung to block that tab's IMEI, after that its cellular connectivity will be gone forever. You can report the IMEI to the police, they may help you in tracking the tab. i lost ma cell samsung A5 it was password protected but probably he must have reseted my phone.i field FIR soon after it... police told they will contact me as soon as they track the phone since then i m waiting... if any1 can help me plz do reply me! There is nothing much we can do about this. Since Samsung phones are more vulnerable to getting used by another person. Also factory reset protection doesn't work on Samsung phones and can be bypassed easily by using an APK. You can only wait for till the investigation gets over. I hope your reported the IMEI to the cops. If nothing works go to Samsung show them your bill and ask them to block that phone's IMEI, after this the phone can't be used to make calls. Keep updating us about the reports. First check your Google account that was associated with the phone. Login to android device manager with that account. If you get lucky then you can track, erase or lock the phone. Once you get the last location you can easily get it back. Report the IMEI to SONY and file an FIR. My samsung j2 2016 has been stolen day befor yesterday but i had not set up my samsung account on my lost device.. is there any chance to get it back.. ? On a PC go to android device manager here google.com/android/devicemanager. Login with the same gmail account that was attached with the phone. Use the location button to see whether your phone is reporting its location. If you see your phone's location then you can report it to the police with IMEI. It will help them to quickly find your device. And don't worry if someone hard resets your phone then it will become unusable and all of your data will be deleted. Phone can only be unlocked from you gmail account. Without the gmail account it is useless. However you should report to the police asap. I have lost my Samsung Galaxy A5 (2016) on November 1, 2016. Police complaint registered with Cyber Cell. I am using both Google Android Device Manager and Samsung Find my phone options. It was turned off after theft. But on 17.11.2016 night I got the android device manager message that the phone was turned on. But Samsung find my phone does not give any message. If the thief wipes off my account details and registers a new Google and Samsung account, is it useful to still track it with my existing Google and Samsung accounts? If the thief wipes the phone then your phone will be locked because of factory reset protection. He can't use the phone unless he put your gmail account and password on the phone. He can't use a new gmail account on it. Only your account can unlock it. You can still try android device manager. You can read more about FRP below. You can get the serial number from the Amazon bill receipt. When Amazon sells any phone then they always mention the serial number in the bill. See your receipt or contact amazon for getting the bill or check your registered amazon email. After getting the serial number you can create a samsung account but it is of no use since the account should be there on phone for tracking. Right now you can do only one thing, just report the IMEI, serial number to police, they can only help. If you find your mobile then do let us know. can a sim change alert be removed if a factory reset in done by a thief on my phone. Factory Reset removes everything except FRP if the phone is running android 5.0 or above. If you perform a reset on android 5.0 then it will be locked permanently and can be opened only by the previously synced Google account. hi. if my stolen samsung galaxy grand prime has been factory resetted by the thief, can i still track it? and how in that case? Please keep checking your Google account and android device manager. You can use your Google account if it hasn't been reset by thief. End users like us don't have control over IMEI. You can report the IMEI to Samsung they will block it forever and after that the phone can't be used on any cellular network. Moreover, if you had setup the pattern, fingerprint, or the password then it would be difficult for the thief to access your data. If in this situation the thief hard resets your Galaxy S6 then Factory Reset Protection will come into play. Your phone's data is still safe if their was a fingerprint lock or pin/pattern password on it. The thief can only access the microSD card if it was there.